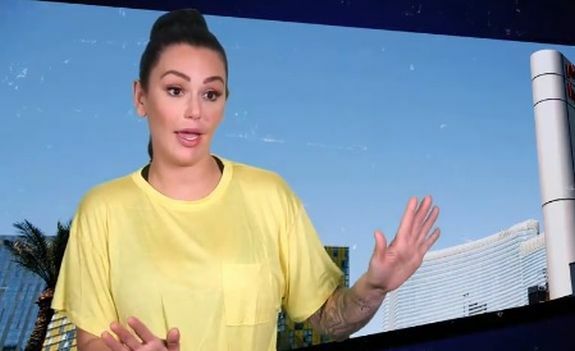 Pack up your t-shirts and dice because it’s time to pick back up with the cast of Jersey Shore Family Vacation in Las Vegas. When we last left the gang, the show had reached a Cops-esque level of hot mess, thanks to Ronnie and his in-need-of-a-straightjacket baby mama, Jen. And we thought the “Raaaahn and Sam Mattress Fight” of yesteryear was dramatic! While everyone is hawking loogies and getting kicked out of hotels and whatnot, the other roommates go out to dinner to get away from the drama. We cut to the next morning as Ronnie explains what happened. He says the police arrived to investigate and said they were charging Jen with domestic violence. Ronnie says he didn’t want to press charges, but the police told him that it wasn’t up to him. Ronnie says he hasn’t been able to reach Jen since she stormed out of the hotel and he doesn’t know where his daughter is. “Oh my God. This is like Jerry Springer, Maury type s**t,” Nicole says. Ronnie says that Jen is planning to take the baby to Oklahoma. Ronnie’s lawyer is saying that Jen has an active warrant for her arrest. Jenni tells Ronnie to call the police and have them do a wellness check on his daughter. Ronnie agrees, and then he and the gang all load up and head over to the area near Jen’s house to meet the cops. Ronnie is hoping to fetch the baby while Jen’s getting arrested. I think it’s nice when you name semi-kidnapping missions…. Ronnie and the gang wait at a nearby fast food restaurant while the cops go and check on Jen and the baby. The cops call Ron and tell him that they can’t do anything, because Jen actually doesn’t have a warrant out for her arrest. The next day, everyone is getting ready to go out to the club like nothing happened…as you do. Ronnie says he has to let Jen “spiral” on her own so…why not hit the clubs and drink away our problems? We all know that Ronnie really shines when he floods his problems with a bottle of Grey Goose! Unfortunately, we are going to be one Guido down for a few days. Pauly D breaks the news to the gang that he has to leave to do a DJing gig. Vinny is almost in tears that his BFF is leaving him for a few days. Before he goes, though, Pauly decides to do zipline ride between two giant buildings in Las Vegas with Ronnie. Mike and Nicole go next, and everyone is having fun, now that no one is getting spit on. “Ronnie’s relationship drama is behind us, and we are having a blast tonight,” Vinny says. 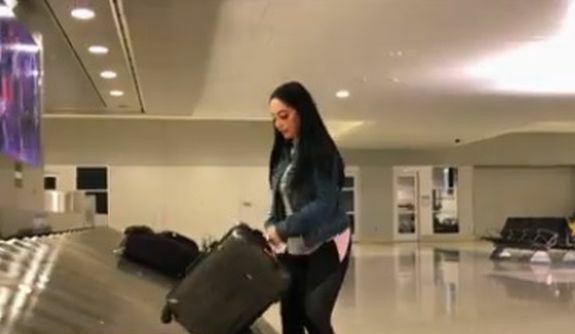 Meanwhile back in Jersey, Angelina is packing her bags to come to Vegas. 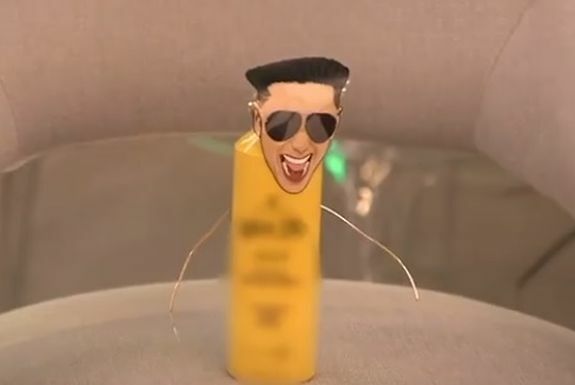 Since Pauly is gone, Vinny takes a picture of his face and glues it to a bottle of hair gel (as you do). 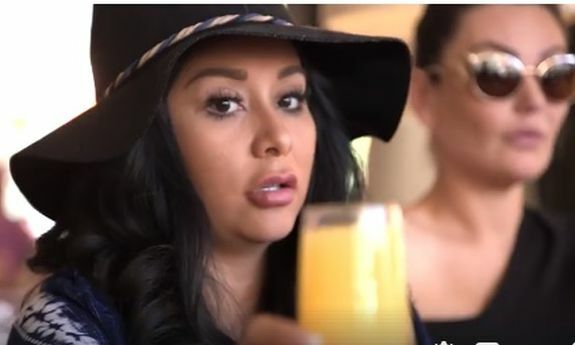 Unlike the knocked-up-and-not-on-camera Deena, Angelina is not a meatball. In fact, Snooki says, Angelina is a meatloaf—something you can only stand once in a while. Later, the group is having brunch, talking about Mike’s first sexual experience with a bathroom rug (um? ), when they get an angry call from Angelina, who has arrived at the hotel. She’s apparently mad that no one is there to greet her with roses and a “WELCOME ANGELINA” banner. She’s standing there with her suitcase(!) cussing the gang out. The hotel seems to have no reservation under “Dirty Little Hamster,” go figure. “She’s comin’ in hot!” Snooki proclaims. Vinny hopes that Angelina’s bad attitude will result in a brawl between her and Jenni. “Can’t wait for JWOWW to fight Angelina today!” he yells. 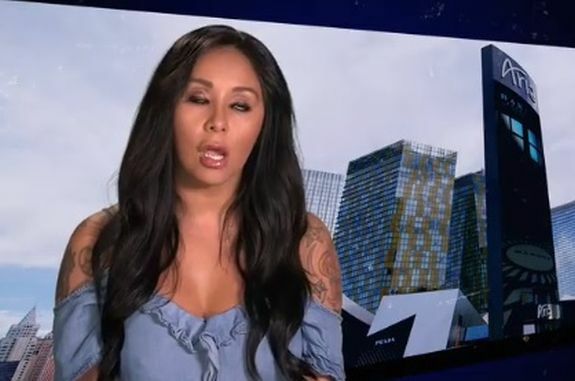 While Jenni says she’d like to punch the BeJesus out of Angelina, she’s kind of tired from dealing with all of Ronnie’s drama, so she’s going to try to refrain from hitting anyone. 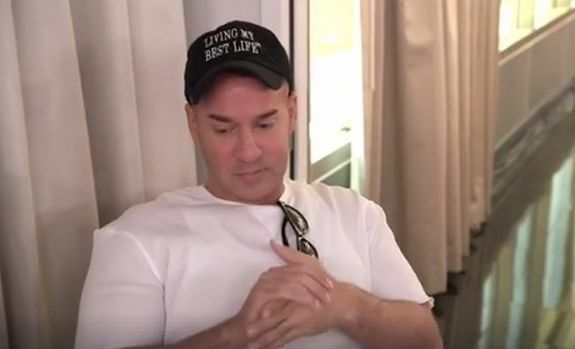 Ronnie will not be able to meet ‘n’ greet Angelina, as he has to go meet with his lawyer to discuss which hot-head parent his daughter will be staying with, etc. “I would rather meet nine lawyers than meet up with one Angelina,” Ron says. Meanwhile, a waiting Angelina is getting madder by the moment. “I’m starting to think that I am a big joke and it’s not cool,” Angelina says. UM…you’re just now starting to figure that out, Angie? Not the sharpest tool in the shed, are we? That’s all for this episode! Hold on to your mic packs, because the next one looks like it’s gonna be a doozy! 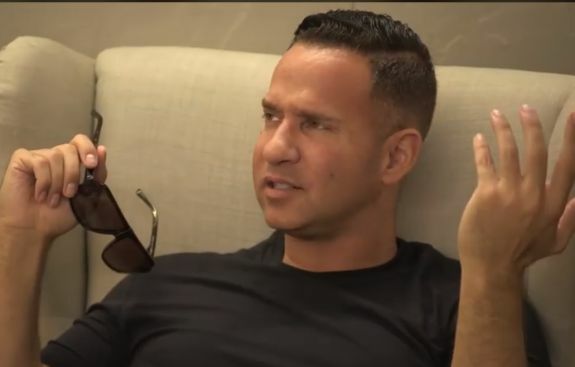 To read our other ‘Jersey Shore Family Vacation’ recaps, click here! Why does he have the 98 degrees haircut? and does anybody actually like Angelina? She not even that enjoyable to watch…. Rahn has met his absolute match with that girl….Sam would kinda just take it sometimes with Ronnie, and some of the things Ron would do and say and do to Sam were crazy…but seeing Jen, I don’t think Rahn was ready for her. He thought that he could treat her like he treated previous girlfriends, but he didn’t realize that the girl is CRAZY…she said she doesn’t care if she goes to jail….I think she means it. She gives zero effs. Girl acts like shes got nothing to lose. I always think Rahn is a dipshit, but boy….this girl is batshit crazy. A real damn shame that 2 very unstable people chose to bring a child into their world. I am so sick of Ron and his drama! That episode where he was crying in the hallway was ridiculous. He needs serious help and it’s crazy no one seemed to notice that.